If you’re in the D.C. area, join the Women’s Foreign Policy Group for a discussion of The Dressmaker of Khair Khana with author (and HWHTW favorite) Gayle Tzemach Lemmon. Thursday, March 17, 2011, 5:30 p.m. 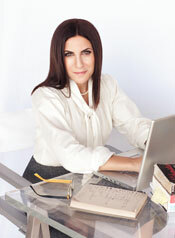 The program will be followed by a book signing with the author, Gayle Tzemach Lemmon. Entry filed under: Uncategorized. Tags: Academy for Educational Development, afghanistan, asia, developing world, development, event, gayle lemmon, journalism, The Dressmaker of Khair Khana, women, women's development, Women's Foreign Policy Group.